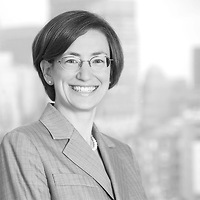 Sara Goldman Curley, a partner in Nutter’s Trusts and Estates Department, will present at the Boston Bar Association’s (BBA) Trusts & Estates Section program “Basic Estate Planning Documents: Will, Revocable Trust, Power of Attorney and Health Care Proxy” on December 7. Sara will provide an overview of the basic/core estate planning documents, including a will, trust, durable power of attorney and health care proxy. She will also review the key components, requirements, and purposes of the core estate planning documents.